Recommended for all aged 5 years to Adult Available in Red, Black & Silver. The BLACK colour is a special order with a delivery time of between 2 to 3 weeks. The Red & Silver colours are as per normal delivery times. Thank you for stopping by at GoKarts4u where we have put together a fantastic range of pedal go karts for all the family to enjoy. 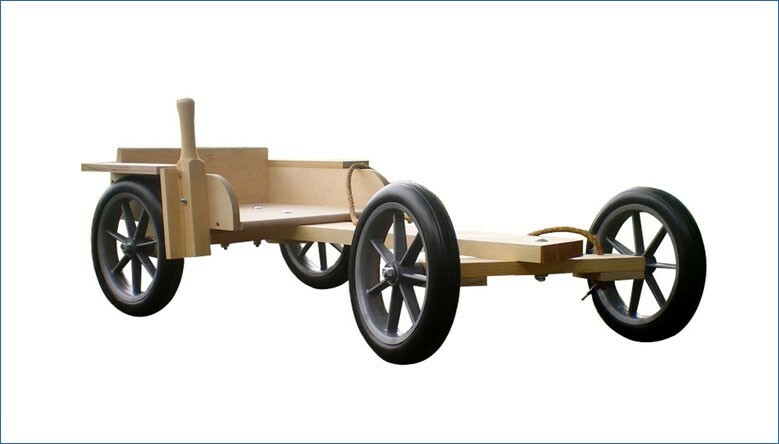 From the traditional original wooden go-kart, to the very strong and superbly constructed pedal go karts from DINO and BERG, two of the world's largest manufacturers of go-karts, we can offer you a go kart to suit everyone's requirements. 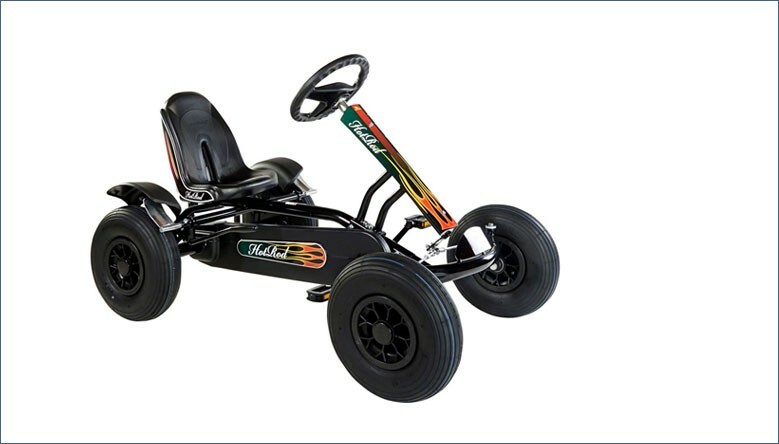 Each go kart has been constructed with safety first in mind using specially selected first class materials combined with state of the art technology resulting in the highest build quality of standards. 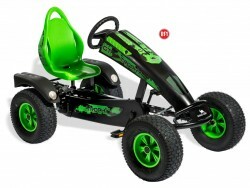 With all our go karts you can rest assured that you will have a top quality product, with a range to suit everyone from the very youngest to the more mature adult - there's something for everybody! 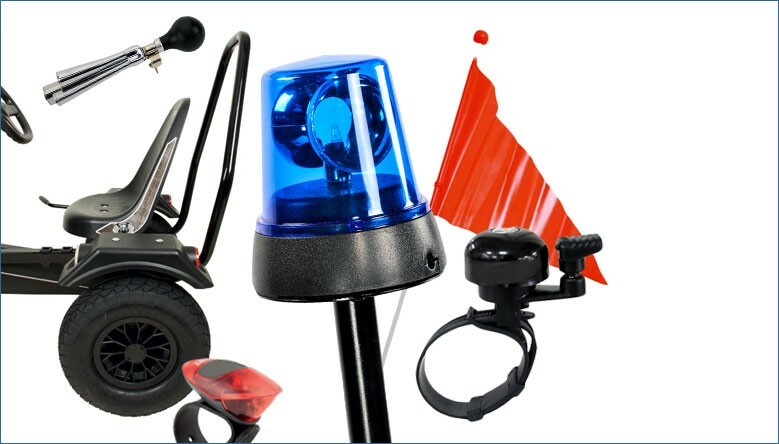 We provide free delivery for all of our go karts & accessories to Mainland UK & Wales. Read more about this on our Deliveries page. 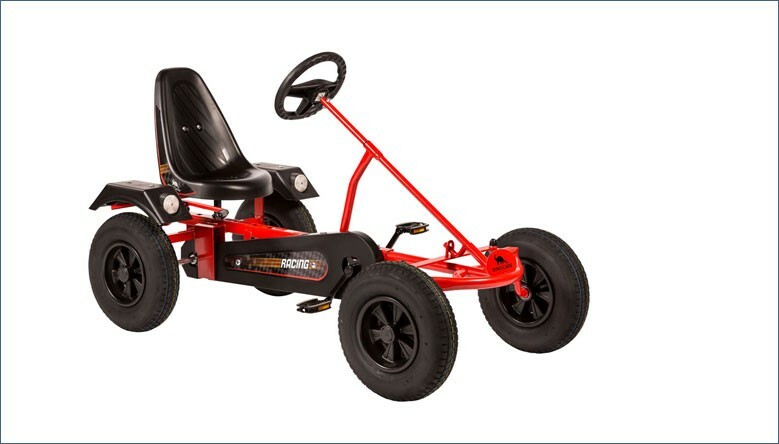 Here at GoKarts4u we have built up over the years very good relationships with our go-kart suppliers/manufacturers, including the top two suppliers in the world. The one thing they all have in common is that their go-karts are built to the highest quality using the latest technology available and to the highest safety standards that can be expected - so in short, they are all basically the same and your choice will come down to what you what your go kart to do and the way the go-kart looks. 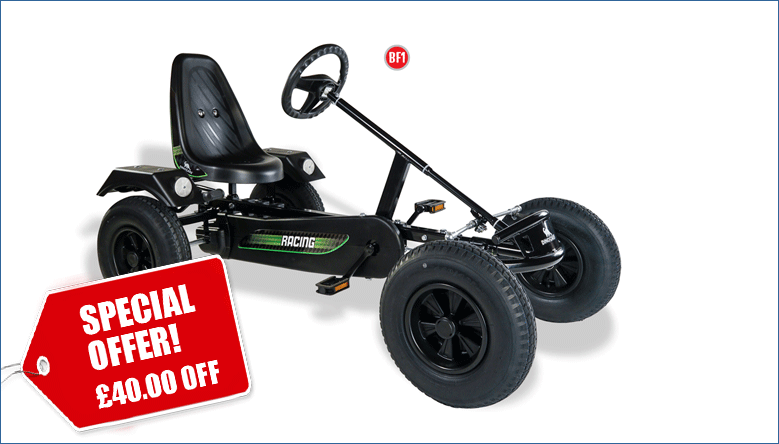 DINO-CARS® stands for superior German quality and design which is why we can provide a 2-year guarantee on our Dino go-karts and a 5-year frame guarantee. 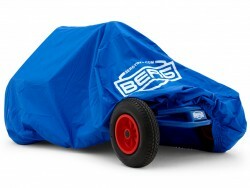 All BERG go-karts come with a two-year guarantee on the parts and a five-year guarantee on the frame. Kiddimoto is the UK’s original balance bike company. 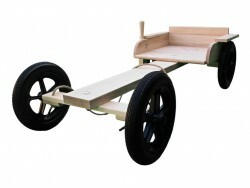 They produce a wide range of award-winning balance bikes, ride-ons from their headquarters in rural Somerset.